Krollahan Homes is the real estate solution. 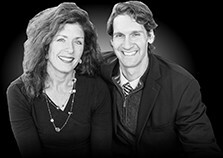 A leadership team with over thirty years of experience to navigate and secure your real estate goals. Kevin Krol, a Registered Architect and Realtor, Problem Solver, Team Organizer, Key Collaborator brings 18 years of experience, analysis, creativity and attention to detail as well as helping convey Design Aesthetic to our clients. Jessica Cymbal, a Closing Specialist with over 10 years with Real Estate Management Expertise and Insurance Experience directs our Contract-to-Close systems. Technology gives our clients an edge through an expansive internet presence in clear format. Serving Greater Cleveland and Northeast Ohio, Krollahan Homes has the ability to research and compare data from a 22-county area and focus on comparing the homes in your neighborhood to best position our clients. We rely on our relationships to continue to build our business – nearly 80% of ours comes from referrals!